Rainy Sunday did not get us down when wanting to do our weekend ritual and visit a new brewery or taste a new product. We chose to hit up Backshore Brewing Company because they had two new products we saw on social media that we were dying to try! Backshore Brewing started a new series called Pulped and Pressed which is a fruited saison. The first one to come out this past week is Raspberry and Peach at 8% ABV so I was dying to try that. They also made an experimental Sparkling Mango Hoop Tea in cans so we, of course, had to try that! This is the ultimate microbrewery! They brew in very small batches and only have six taps which mean more experimentation and an ever-changing brew menu for you to always try something new! There are very few seats inside the tasting room so there is more room for them to brew but why would you want to sit inside when this is the only brewery on the boardwalk! Drinking local craft beer on the boardwalk while overlooking the beautiful Atlantic Ocean and so many people watching, you would never get bored. They are also home to the makers of Hoop Tea! Hoop Tea is a summertime phenomenon that has gotten so big in the past few years that they have to make and package in Baltimore, Maryland due to its high demand. Think Twisted Tea but way tastier and more refreshing! The atmosphere at Backshore Brewing is very beach casual! When walking the Ocean City, Maryland boardwalk you will walk by the legendary VW Vanagon where you will see almost ten to 20 people an hour stop and take a picture with it or in it. You feel as if you stepped back into the ’70s when young hippies would pull up to the beach in their VW van and take in the salty beach air sending out positive vibes. That is how Backshore makes you feel so definitely check it out and step back in time! Backshore Brewing only has two signature brews that are always available since they only have six taps and a small batch brewing system. You can try all six beers on their handmade skateboard beer flight boards which are so retro and a fun presentation that you are just going to want to another one! Boardwalk Blonde is their most popular brew which is an easy drinking blonde ale that’s 4.3% ABV so it’s light in alcohol for you to drink all day in the summertime heat! Downtown Sugar Brown is their second most popular which is an English Brown Ale that is 6% ABV. This beer has just a slight sweetness from the brown sugar but is known for how smooth it goes down. We have had a lot of their beers overtime due to them always brewing something new but I have to admit we enjoy their Hoop Tea the most! Hoop Tea is made with natural ingredients and no artificial colors or ingredients. Being born and raised in Ocean City, Maryland I am very proud of a product like this one to have been created here and hope to see the brand expand as much as possible. Will be visiting the area soon and was looking for a good brewer. Think you helped me find one! Thanks, love the atmosphere described, as it seems pretty laid back. Will have to try the skateboard six then the Hoop Tea. Good to know it taste better than Twisted Tea. Would love to hear more about other places you would recommend in the area to visit? So happy to hear from fellow craft beer lovers! Yes Backshore is extremely laid back with the best scenery! I do have two others to recommend. They are not exactly right in Ocean City but they are about 30 minutes away from the resort town. 3rd Wave Brewing and Evolution Brewing which were some of the first breweries to open some what near Ocean City, Maryland. Hope you get to see them! Cheers! Hello Traci, nice article from your own perspective. I actually have not been to the east coast U.S.A. I love my local breweries here in central/northern and even southern California though. So now I can check out a local phenomenon like the Backshore Brewing co. I like the idea of it. Special tasting beer that doesn’t compromise. How far away is Backshore Brewing co. from where you were raised? Backshore Brewing is right on the island which is only five minutes from where I grew up. If you love to visit local breweries then this is the area for them. 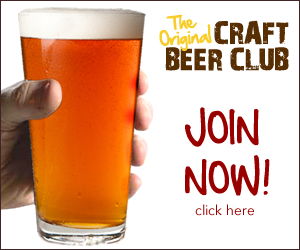 There are 8 within a 35 mile radius of Ocean City, Maryland and there are more brewing! Thanks for your interest and if you ever get to the East Coast check out the rest of my blog about the breweries here! Cheers!